Cosmetic Dentist Tinley Park IL | Smile makeovers with veneers, crowns, teeth whitening! 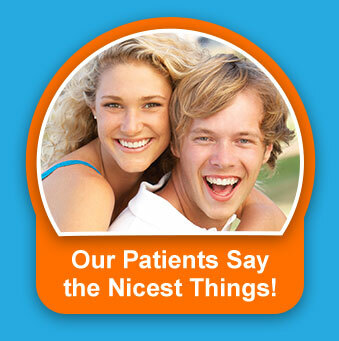 We emphasize the aesthetic aspect in all our work because we realized that when your smile looks good, you feel good! We use a combination of preventive care, tooth-colored fillings, and restorative techniques for optimum dental health. Modern smile makeovers are now so easy (and affordable!) that there is no reason you can’t have the perfectly beautiful, natural-looking smile you’ve been wanting. Click the headlines below to learn more about some of our options for helping you achieve your dream smile. For those with misshapen teeth, unsightly gaps, or deep discoloration, porcelain veneers could be the answer. This method quickly and painlessly alters crooked teeth so they look like they’ve gone through years of straightening. Veneers are thin, but durable, sheets of advanced dental ceramic. 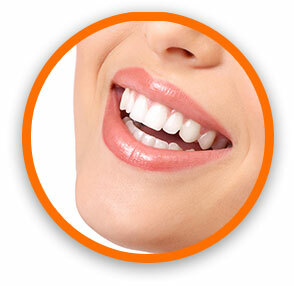 They are bonded in a way that gives you the appearance of straight and uniform teeth, creating an attractive smile. 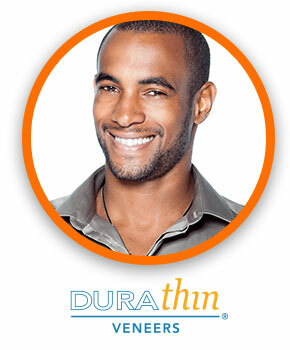 We also offer DURAthin™ veneers. These are as thin as a contact lens and super translucent. Since DURAthins are so thin, little or no tooth reduction is necessary. Often times you won’t even need a shot! Another common dental issue is chipped, cracked, or worn teeth. Veneers can be applied to the teeth to completely conceal the chip or crack and also to reshape teeth. The veneer is designed to match the natural color of the surrounding teeth. 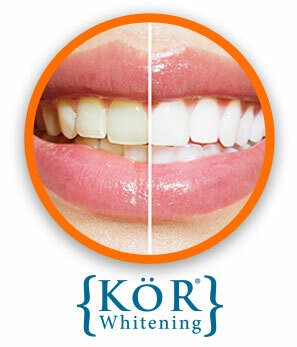 We are excited to offer a new teeth-whitening procedure called KöR Whitening. Many whitening methods work fairly well in competent professional hands; however, even the best treatments sometimes can’t completely whiten severely stained teeth. An example of this is the staining you might have if you took the antibiotic tetracycline. But now, with KöR Whitening, even severely stained teeth can become brilliantly white. If you’ve ever been unhappy with the results from other methods, you might be amazed at this technique. We also offer custom whitening trays, made in our own on-site lab. You will receive supplies and instructions, finishing the procedure at home. This technique is not only safe, but effective. Results occur within 1 - 14 days. Crowns might be needed to save a broken or worn-down tooth when a standard filling isn’t enough to restore it to full functionality. A crown will save and strengthen the damaged tooth. We use only the most advanced materials to construct our crowns. They look so natural, you won’t be able to distinguish them from a real tooth. For some patients who have more than one missing tooth, a bridge might be a suitable solution. Custom made with the same high-quality materials, a bridge is anchored on both sides with crowns and fills in the gap for a return to both function and comfort, as well as a full smile. The silver-mercury amalgam has been a standard filling material used in dental practices for a very long time. A reasonable restoration, unfortunately amalgams have certain shortcomings. Metal fails to bond well to teeth, which allows decay to eventually leak into the tooth. 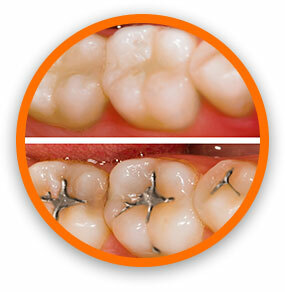 But the main reason our patients are happy that we only provide white bonded fillings is the way they look. Our modern restorations are a natural-looking white containing no metals, and the material can actually strengthen your teeth. They also bond very tightly with the healthy part of the tooth to reduce the chances of decay in the future. A new smile is a wonderful gift for yourself. But imagine how your smile would look even better by smoothing out facial wrinkles and age lines. In as little as one appointment, we can erase lines and wrinkles from around the mouth, as well as erase pesky crow’s feet or stress lines on the forehead. 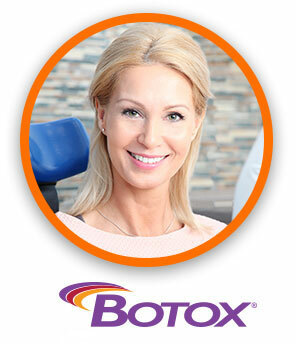 We now offer BOTOX™ Cosmetic treatments to temporarily improve the look of moderate to severe frown lines between the eyebrows, in the forehead, and around the eyes. Schedule a complimentary consultation by calling (708) 532-4131, and discover how cosmetic solutions and teeth whitening can give you a brilliant new smile!